Puke Ariki stands on what was a great pā site, Puke Ariki (The Hill of the Chief). The complex, which was opened in 2003, is now a knowledge centre for Taranaki history, library and information. 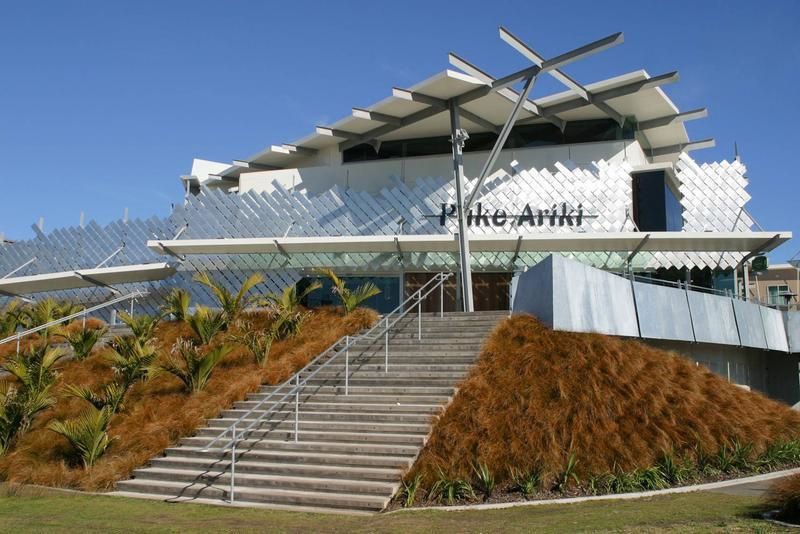 Puke Ariki has great significance for Taranaki and its people. It is a place where all people can meet. Puke Ariki tells the stories of Taranaki through collections, exhibitions, programmes and digital technology. This centre aims to inspire and link our past to the future and to the world for everyone to learn and enjoy. Puke Ariki’s extensive heritage collection is divided into four main areas: Taonga Māori, Social History, Pictorial and Archives. All of these collections are Taranaki focused and they provide an unparalleled resource for anyone interested in Taranaki’s heritage. Admission is free (some temporary exhibitions are charged). Visitor information services/museum brochures/tourist brochures.